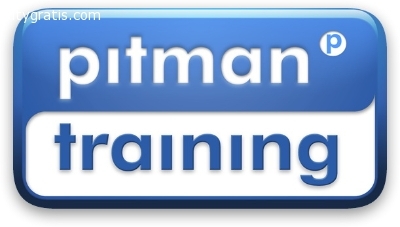 Here at Pitman Training Kerry we have a wide range of IT Courses available. All our training courses are practical with no theory, just the skills that employers demand. Our Training Courses have proven results because 87% of our students have secured jobs within the same year they graduated! The role of IT Support Technician is vital within any business and with our diploma your skills will be highly in demand. You’ll be a valued member of the team, keeping computers running smoothly and precious data protected. Our IT Support Technician Diploma Course is ideal if you’re looking for a role within a company’s IT department, retail computer store or if you want to carry out home repairs. The IT profession is one with many levels of expertise - if you’re one of the best, prove it to employers. Our Support Technician Diploma Course takes you through the essential skills to work as an effective IT Technician. Our Advanced IT Support Technician Diploma is recognised by employers both nationally and internationally. As we build your Diploma around your experience and career goals, you’re guaranteed to get real value out of your training, as you build up skills that will help you progress. Our Network Support Technician Diploma Training Course is ideal for those of you who’d like to take your IT skills to the next level and become a network or system administrator. This intensive diploma will give you the advanced technical skills you need to work for an external IT support company, or work in house within a company’s IT department. You’ll have the desire to work under pressure, offering support when it’s needed – ensuring network systems run smoothly. The opportunities for employment within the area of network support are enormous as businesses continue to grow and utilise the technology available to them. This is a vital role to ensure the smooth running of businesses reliant on their network and IT systems. If you want to achieve your Microsoft Certified Solutions Associate (MCSA) certification, this course will put you in the ideal position to go on and gain this renowned IT certification. The Pitman Training IT Office Administrator Diploma Course is your route to a job in IT as an office administrator in the tech sector. It is intended for anyone with an interest or experience in IT, looking to work in an administration or office support role. As the tech sector continues to be one of the fastest growing employment sectors in Ireland, this unique It Technical course will empower you to secure an administration role with the confidence to operate and appreciate underlying technical concepts and technologies.